Head on over to Laura’s Blog for the chance to win a Composers Activity Pack. It looks like tremendous fun, and is a great price even if you don’t win the drawing. Good Luck! There are so many wonderful computer programs to use with music students, but this one is by far my favorite. 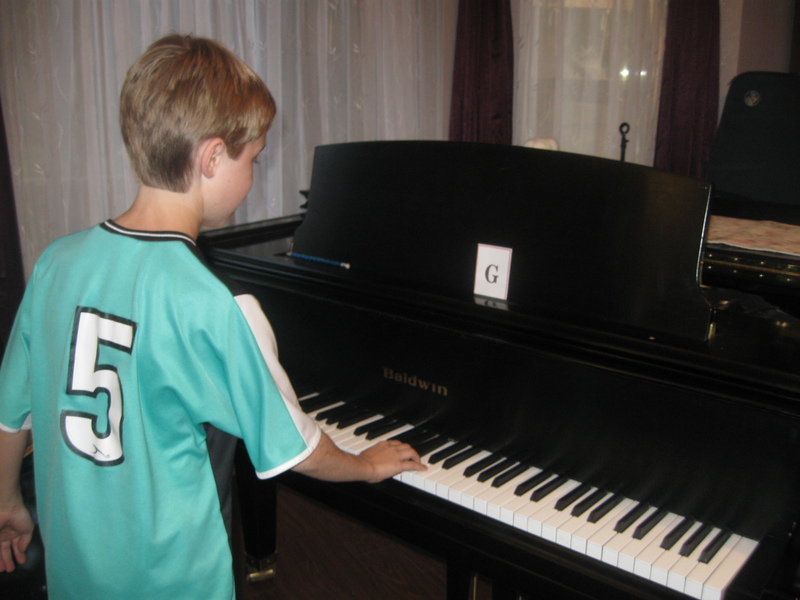 Piano is Fun is a program that teaches note reading, and it really is fun! The program is only $29.95 and worth every penny, in my humble opinion. There are 20 lessons in this game, and notes are gradually introduced. Students first itentify the notes by letter name, then do so on the keyboard as in the picture above. After the lessons have been finished, students then progress to the Bronze, Silver, and Gold medals. In these challenges, the notes go by, and the screen flips randomly from the keyboard to letter names. The Bronze and Silver medals are pretty easy to get, but the Gold medal is pretty hard. I can do it, but I have to concentrate! I am more than satisfied when my students earn the Silver medal. If they do get the Gold, I give them a gift certificate to their favorite restraunt. You can go to the Piano is Fun website to see a video of the game in action, and to download the game. This is such an effective tool that I will have students take 5 minutes out of their lesson to complete a level. I don’t do it all the time, but it is a regular part of my note reading arsenol of activities. It also works well for siblings who are waiting for their turn. I don’ t have a computer lab or anything like that yet. Students simply play this one game on my laptop in the piano studio. 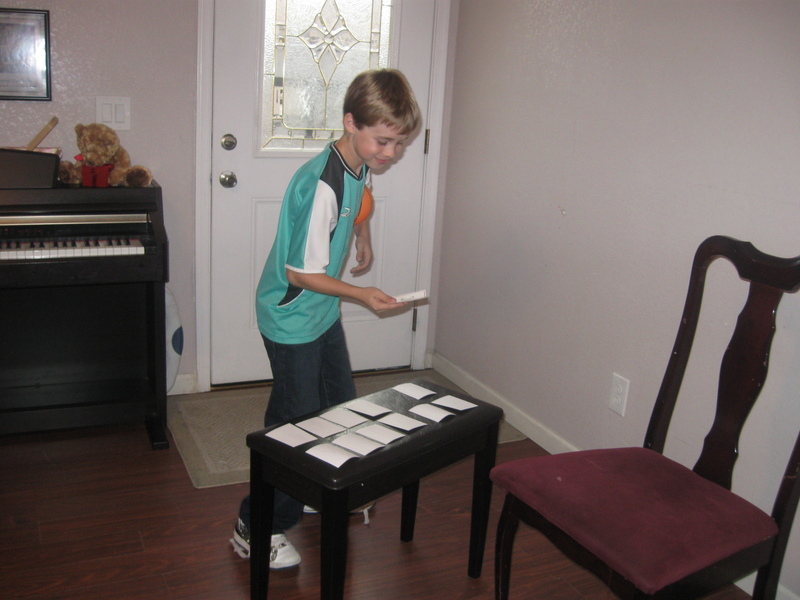 This is one of my most popular activities with my piano students – especially my elementary aged boys. First they pick a card. Today, we were doing pentascales, so we used the Alphabet Flash Cards. After a card is drawn, the student runs over to the piano, and playes the pentascale. We always chant “tonic, whole, whole, half, whole” during this process. 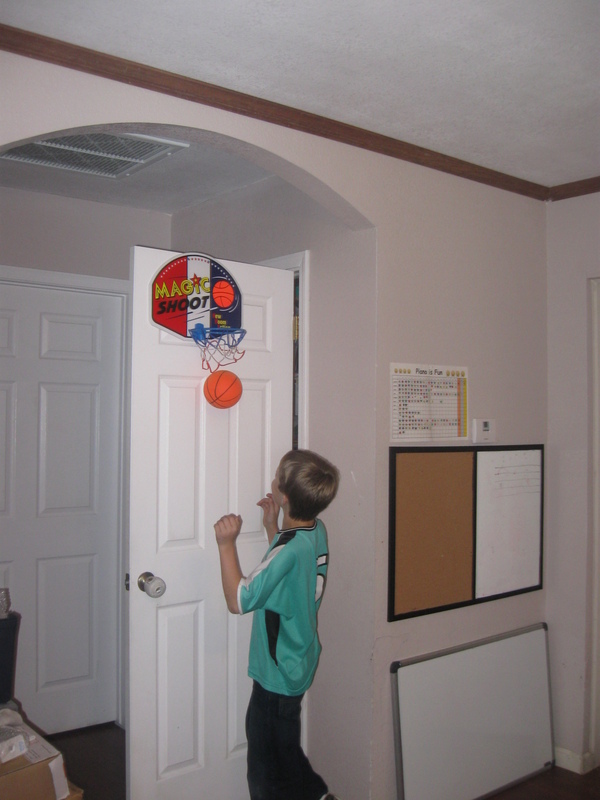 If the student is successful, I toss them the basketball, and they get to take a shot in my $2 thrift store basketball hoop. Then, they run across the room, draw another card, and do it all over again. This game could be modified many ways. Students could draw note flashcards, play full scales, or even something as simple as identifying the letter names of the keys. Any way you play it, it is loads of fun! Anyway, here is something I have been wanting to post for awhile. This is an idea from A Galaxy of Games for the Music Classroom. These are just plain old flashcards with basic symbols, right? Well, not exactly. I laminated the red cards, cut the symbols out of fine-grit sandpaper, and glued them to the cards. The treble clef could have been tricky to cut, but since the sandpaper is rough anyway, I just cut right through the straight line part of the clef to cut the curves. When glued to the card, you can’t even tell! After a beginning student has learned the various symbols, I tell them we are going to have a test, and they have to name all of the symbols. They usually ace right through that, so I tell them that I need to make it really hard. They have to identify the symbol with their eyes closed. I love their reaction to that! They close their eyes and identify what is on each card simply by touch. What a fun way to reinforce learning! Here is the pattern I used to cut the shapes out of sandpaper.